Raymond James McClinton, 80, passed away on Tuesday, November 6, 2018. Mr. James Raymond McClinton was born on August 13, 1938, to the union of Janie McClinton and John McClinton in York County, South Carolina. James was united in holy matrimony to Mary Annie Mae McClinton. Their 53 year marriage was one of peace, love, and friendship. James was employed by Pepsi Cola, Inc., for over 40 years, as a forklift operator. In his leisure, James enjoyed watching NFL and Western TV Channels. James was a truly remarkable man. He was caring, loving, kind, and full of spirit. He will truly be missed. 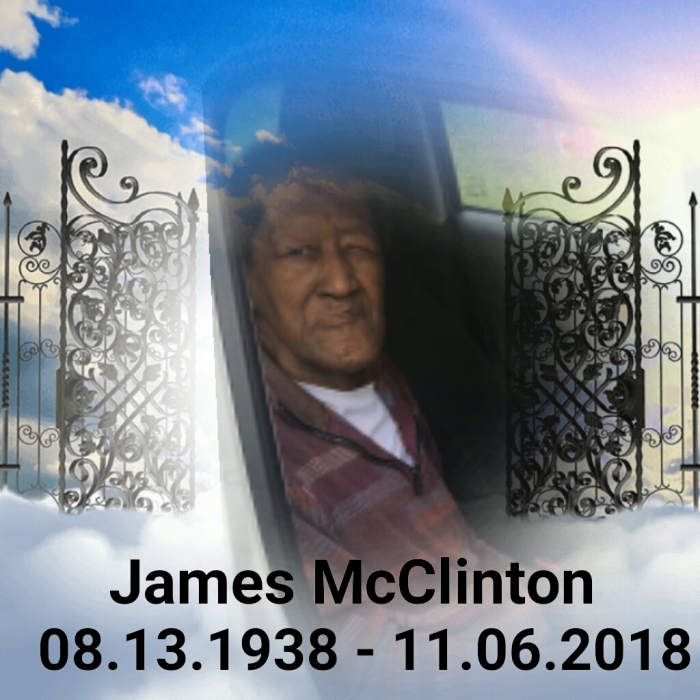 James Raymond McClinton departed this life on Tuesday, November 6, 2018. He was preceded in death by his wife, Annie Mae McClinton; daughter, Johnnie Mae; mother and father, Janie and John McClinton; brother, Johnny Lee McClinton; sister, Elizabeth McDaniels; and son-in-law, Robert Dawkins. He is survived by his 9 children, Annette S. McClinton, Brenda (David), Linda, Jackie, Sylvia, Tony, John, Little Raymond, and Vernell; twenty-nine grandchildren; thirty great-grandchildren; three great-great grandchildren; sister, Daisy Mae Mobley; sister-in-law, Bobbie Green; 3 son-in-law's; 2 daughter-in-law's; a special loving son-in-law, David Dunlap; a special loving granddaughter, Alexus Dunlap; and host of nieces, nephews, cousins, and friends. The funeral service for Mr. McClinton will be held on Thursday, November 15, 2018, at Boston's Mortuary 4300 Statesville Road, Charlotte, North Carolina 28269. The visitation will begin at 11:30 AM and the funeral service will begin at 12:00 PM. Interment immediately following service at Beatties Ford Memorial Gardens 11201 Beatties Ford Road Huntersville, North Carolina 28078 . The McClinton Family have entrusted arrangements to Boston's Mortuary.